6 mm top layer at 14 mm waterproof plywood. The 20 mm is a good alternative to a solid floor. Due to the thick top layer this product has a very long life span. The product consists of a 14 mm birch plywood base layer and a 6 mm top layer. 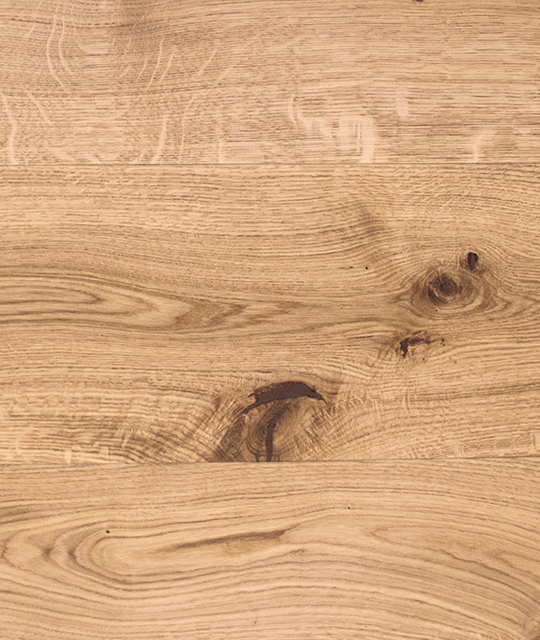 This product is available from stock in its European oak variety. Exotic woods are available on request. The 20 mm can be treated as desired with our Cinzento Custom Made® programm.